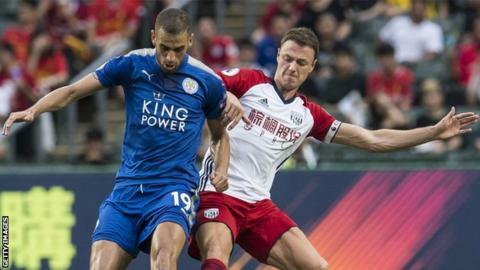 West Brom boss Tony Pulis wants the future of Manchester City target Jonny Evans to be resolved so he can focus on strengthening his squad. City had a second bid - worth £18m - for the Northern Irish centre-back, 29, rebuffed last week. And Pulis believes City have not been in contact "for a couple of days". "We are hoping to get this situation resolved and move on. But whether Jonny goes or not, centre-half is one of four areas we need to fill," he said. Pulis said last week that, while West Brom "don't need or want to sell" captain Evans, "every player is for sale at the right price". Evans, who has two years left on his contract, missed West Brom's opening two Premier League games against Bournemouth and Burnley with a hamstring injury and is expected to miss for Saturday's visit of Stoke. Transfers at this time of year can be complicated. Manchester City want Jonny Evans. West Brom are willing to sell, if the price is right. However, City need to create space in Pep Guardiola's squad, and that means offloading Eliaquim Mangala. Inter Milan are keen on the French defender but, given Mangala has a lucrative contract that runs to 2019, his agent Jorge Mendes has no incentive to push a deal through. So Evans must wait for his move for a little while yet.